The plaintiff rejected all offers and secured an $11.3 million judgement at a trial in Superior Court in September 2004. Defendant appealed, and AIGDC failed to pay the judgment until after a c. 93A letter was sent and suit was instituted in a second action for violations of c. 93A and c. 176D. Plaintiff prevailed, but appealed when they were not awarded full damages based upon the judgment. The Appeals Court affirmed in part, but did not find the proper measure of damages should be based upon the judgement. The SJC granted further appellate review. The court also affirmed the trial court’s findings that the underlying insurer, Zurich, was not liable for violations of c. 93A. The court held that the underlying judgment of $11.3 million should be the basis of the c. 93A judgment, and that it should be doubled. Read more about this decision on our website. Breakstone, White & Gluck is a Boston personal injury firm which represents clients who have been injured in car accidents, truck accidents and other accidents. We have decades of experience handling c. 93A claims including insurance bad faith claims in Massachusetts. We look forward to the opportunity to assist referring counsel and clients with their 93A and c. 176D claims. 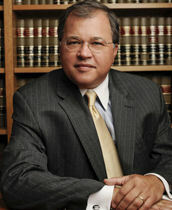 Attorney David W. White is a partner at the firm and is a past president of the Massachusetts Bar Association. He writes on cases involving c. 93A and c. 176D and is recognized on an expert in Massachusetts insurance laws. He frequently lectures on the insurance matters for Massachusetts Continuing Legal Education. Attorney White is a past president of the Massachusetts Bar Association.